ANAHEIM — “Nisei Serenade,” a nostalgic musical show featuring Japanese American youth singing songs of the 1940s in tribute to the Nisei generation, is returning to Southern California on Sunday, Oct. 13, at 2 p.m. at the Orange County Buddhist Church (OCBC). Presented by the Grateful Crane Ensemble and OCBC’s Project Kokoro, “Nisei Serenade” premiered last June in front of a packed house at Centenary United Methodist Church in Little Tokyo. Described by The Rafu Shimpo as “a lovely trip down memory lane,” the show features the singing talents of Grateful Crane’s Next Generation Youth — Aimee Machida, Erika Mariko Olsen, Miko Shudo, Alyssa Nakamoto, Lisa Horikawa and newest member Drake Morinaka. Written by Kashiwagi and directed by Alison Minami with musical direction by Scott Nagatani, the one-act show begins in the present day at the Keiro Retirement Home in Los Angeles. After a performance of 1940s songs, a Keiro senior approaches Grateful Crane’s youth singers and takes them on a journey back in time to 1944, when six young Nisei singers were brought in from camps across America to perform at a special one-night-only show at Heart Mountain in Wyoming. 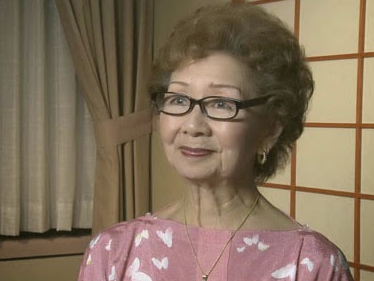 Adding further authenticity to the show will be a special guest appearance by Mary Kageyama Nomura, aka the “Songbird of Manzanar,” who at age 16 delighted her fellow Nisei by singing all the favorite songs of the era at camp dances, concerts and weddings. Today at 88, she is a great-grandmother who still loves to sing — and she will be doing just that to close the show. Long-time Grateful Crane member Darrell Kunitomi also appears as the MC of the “Nisei Serenade” show in camp. Along with the show, former Grateful Crane and OCBC board member Tak Kosakura will be remembered for his support and dedication to the two organizations. A portion of the proceeds from this show will be donated to OCBC’s Building Fund, Phase II, in memory of Kosakura. OCBC is located at 909 S. Dale Ave. in Anaheim. Tickets are $25. For reservations, call the Grateful Crane ticket line at (310) 995-5841 or Diana Ono at (310) 508-3966.